In a story recently published by The Line, 2700 University will serve as part of an architectural revival for the area. 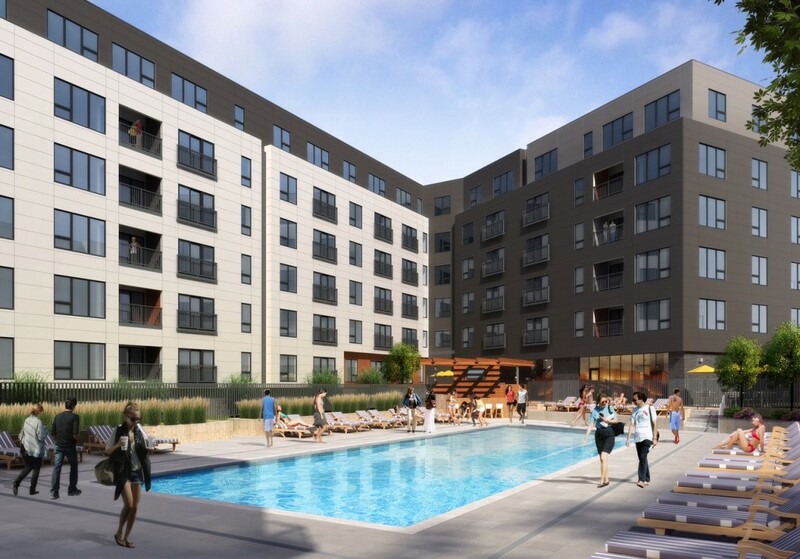 Located between the St. Paul neighborhood of St. Anthony Park and Prospect Park in Minneapolis, 2700 University will be a six-story building with 248 apartments, 3,000 square feet of retail space and two levels of underground parking. 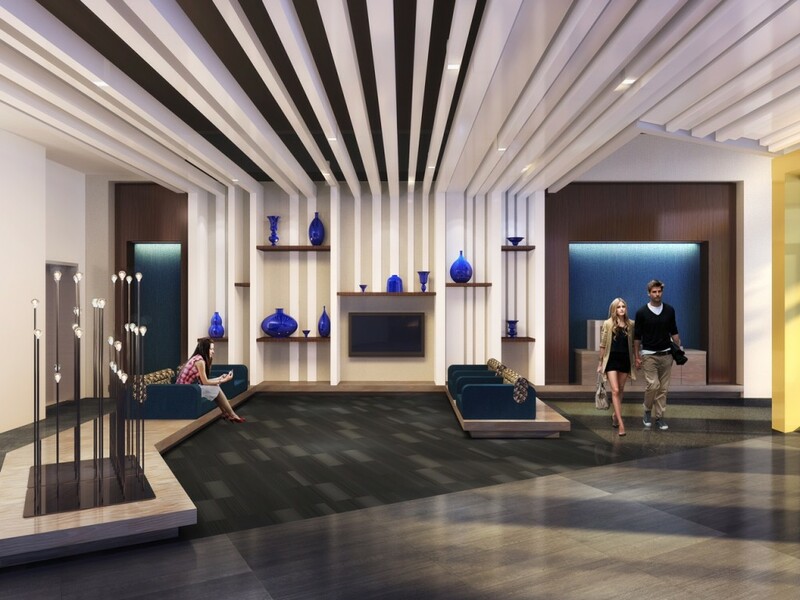 The project will also have a saltwater swimming pool, sundeck with cabanas, cyber café, pet grooming area, and bicycle repair station with indoor bike parking, bike stands, pumps, tools, water bottle filling station and workbench. UrbanWorks’ design adheres to St. Paul Sustainability Building Guidelines — the City of St. Paul is a financial partner in the project — and includes locally sourced materials, energy efficient systems, LED lighting, doorstep access to light-rail transit, and as many bicycle racks as car parking spaces. The project will be LEED certified. 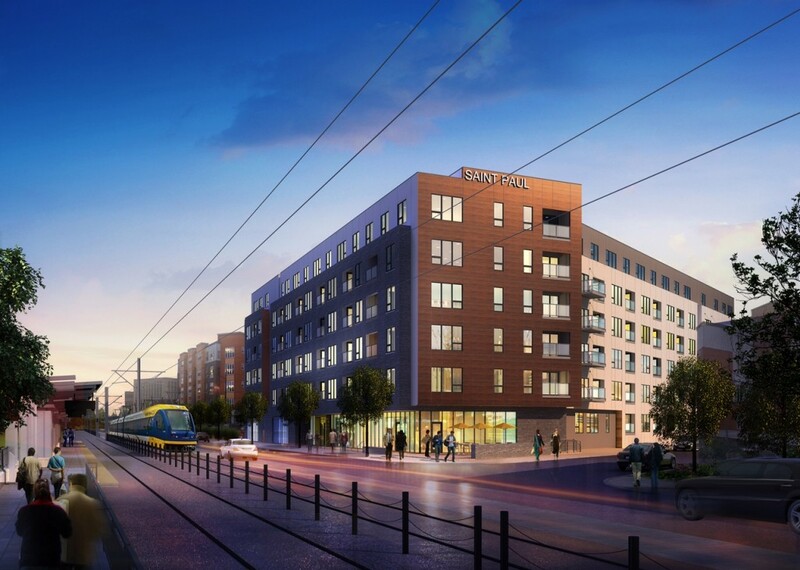 While the large site sat unused for many years, the City of St. Paul kept searching for a clear vision with affordable housing and retail, as well as a landmark that could serve as a gateway building to St. Paul. To that end, the building, which amply fulfills all of the city’s criteria, will include signage spelling out “St. Paul” on the rooftop facing Minneapolis.